One of my favourite exhibits in the Masonic Museum at Warrington is the Geneva Bible dating from 1599, used by the Lodge of Lights No. 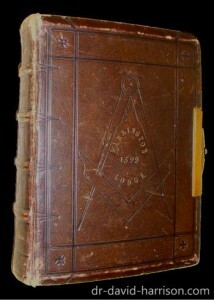 148, reputed to be the same Bible that Elias Ashmole took his Masonic oath on. There is no supporting evidence for this, but lodge tradition is strong, and who am I to argue with lodge tradition! 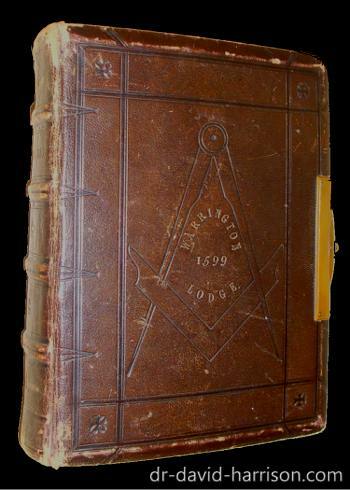 The Bible was used up until recently in the lodge, which dates from 1765, and is celebrating its 250th anniversary this year. Some lodges do use historical Bibles, such as the King James Bible that President George H. W. Bush took his oath of office on in 1989, which is from a lodge based in Manhattan called St John’s Lodge. George Washington, who was a Freemason, was the first US President to take his oath of office on it in 1789, the Bible being supplied from the lodge, as there was no other Bible to hand. George W. Bush had hoped to take his oath of office on the same Bible in 2001, but due to the heavy rain, a decision was made not to use it outside. Another historical Bible is used in the Lodge of Edinburgh – the Breeches Bible – which was printed in 1587.